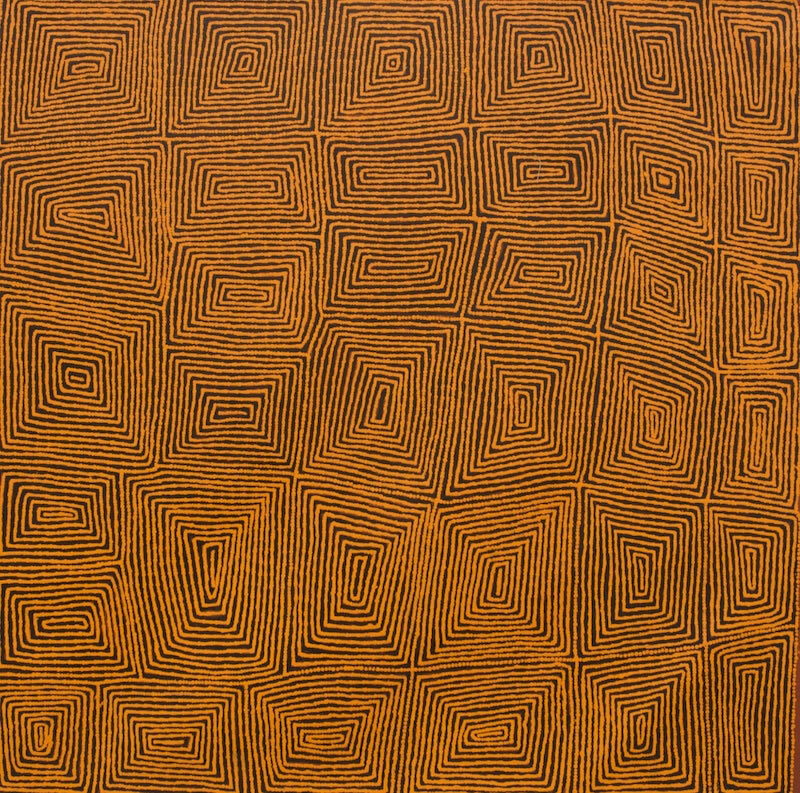 Warlimpirrnga Tjapaltjarri first painted for Papunya Tula Artists in 1987, just three years after he and a group of family members walked into Kiwirrkurra after a life lived in the desert, without any contact with Westerners. 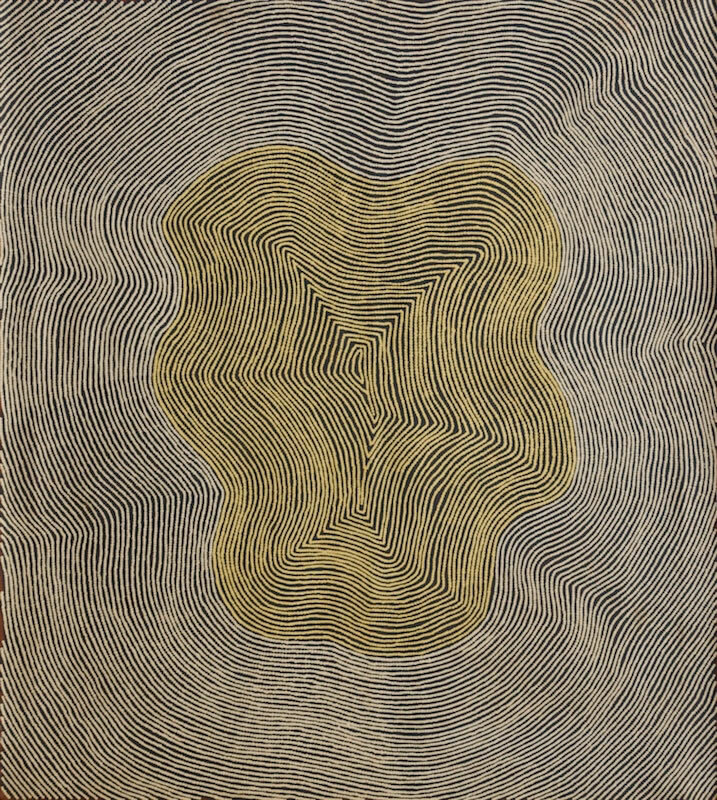 His first eleven paintings were exhibited at Gallery Gabrielle Pizzi in 1988. 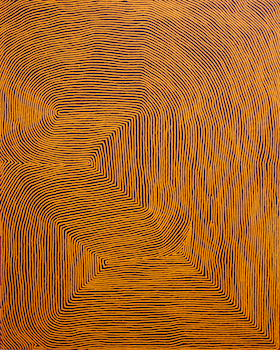 Since then he has appeared in many exhibitions, and in 2000 Warlimpirrnga travelled to Sydney with a group of four men from Kiwirrkurra to make a ground painting at the Art Gallery of New South Wales for the opening of ‘Papunya Tula: Genesis and Genius’. 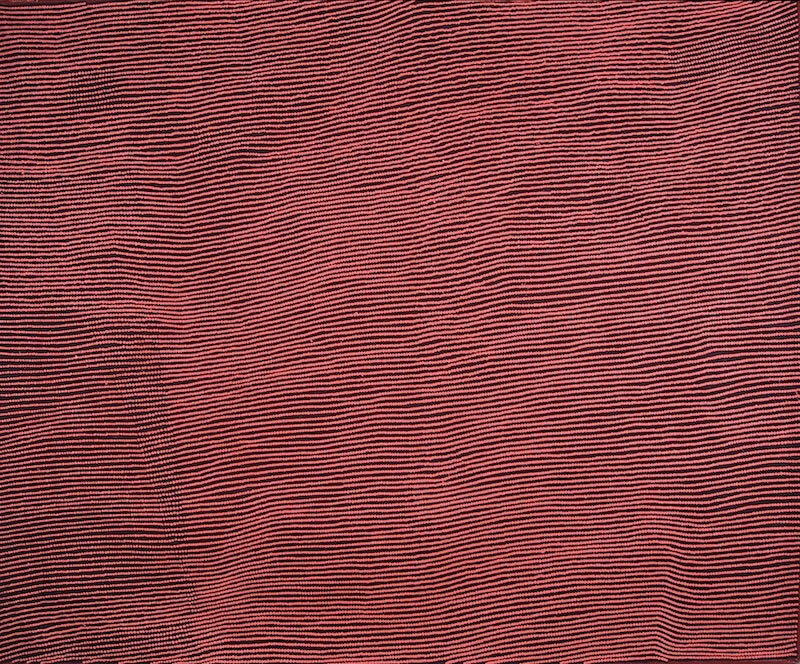 In 2012, Warlimpirrnga was amongst a small group of Australian artists to have work included in DOCUMENTA (13) in Kassel, Germany. 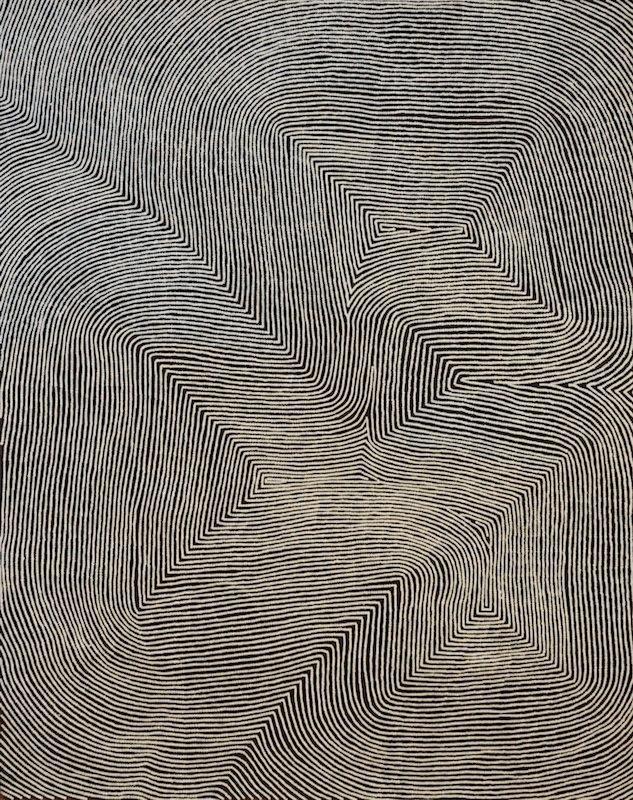 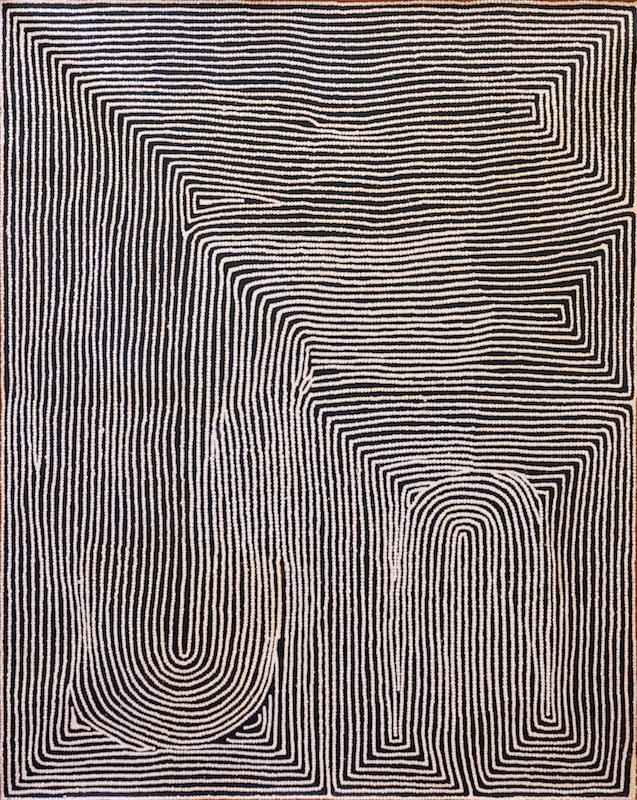 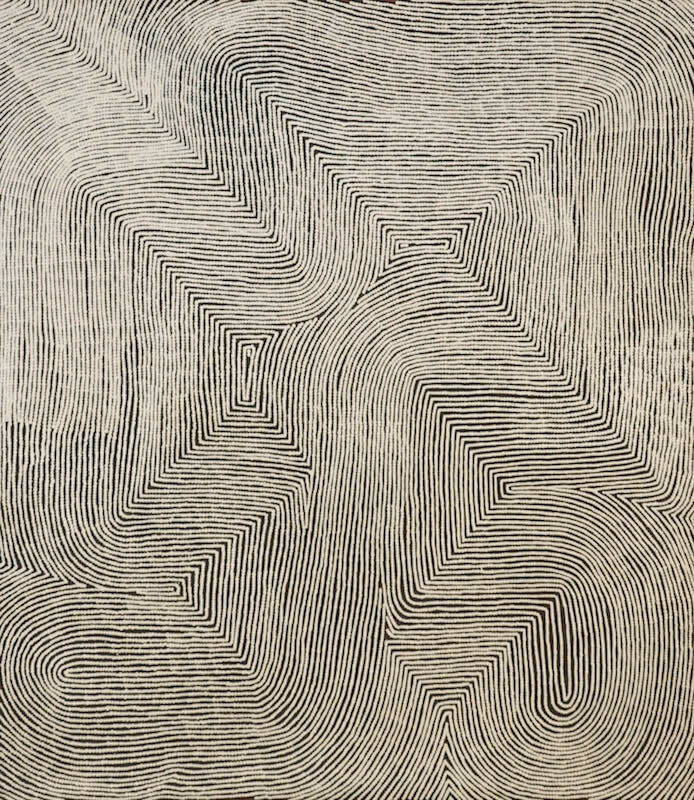 Warlimpirrnga’s work can be found in many public and corporate collections, including the National Gallery of Victoria and the Art Gallery of New South Wales.